It is impossible not to be impressed by Barbara Leigh-Smith Bodichon. Her life is interesting for its diversity, rather than for any single accomplishment, and therefore she has posed a challenge for biographers. Most accounts of Bodichon, such as Sheila Hemstein's A Mid- Victorian Feminist: Barbara Leigh Smith Bodichon (1985) and Candida Ann Lacey's collection, Barbara Bodichon and the Langham Place Group (1987), have focused on her activities as a social reformer. The first complete biography since Hester Burton's Barbara Bodichon, 1827- 1891 (1949), is Pam Hirsch's Barbara Leigh Smith Bodichon: Feminist, Artist and Rebel. Hirsch recognizes the relative neglect of Bodichon as a consequence of her multi-faceted career: 'She did many things, and historians seem to find it easier to understand and write about a man who pursued one 'great' goal. Women's lives and women's histories often look different, more diffuse and are (perhaps) harder to evaluate' (ix). 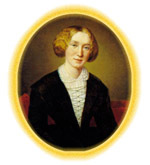 While this generalization does not describe the historical treatment of many of Bodichon's friends and collaborators, such as George Eliot, Elizabeth Blackwell or Emily Davies - known for contributions in specific areas of Victorian culture and society - it does hold true for Bodichon. Her career combined political agitation for the Married Women's Property Act, the founding of the English Woman s Journal (1858), and the campaign to establish a college for women at Cambridge, culminating in the opening of Girton College in 1873. But Bodichon thought of herself as an artist - a painter. One of Hirsch's most important contributions is to call attention to the continuity of Bodichon's identity as an artist, even as she pursued her various activities on behalf of women. Hirsch provides a variety of historical contexts to help explain Bodichon's achievements. We receive some background on topics ranging from Unitarianism to the obstacles facing Victorian women painters. In this sense, the book is useful to students of nineteenth-century social movements and culture, but as a biography, it is not methodologically self-conscious. Hirsch has no particular take on Bodichon's life, perhaps because there has not been enough biographical controversy to require a redirection of the subject. So she promises to remain 'faithful to those things the police call "the facts'" (ix). Despite this first of several gestures toward an awareness of post-structuralist historical critiques, her biography does not question the existence of facts. She describes her method in modest, if metaphorical terms, comparing her task to that of the 'mosaicist, who creates a picture out of tiny fragments of coloured enamel' (ix). The metaphor does not recur after the preface, and what we have is a combination of the 'facts' in a linear narrative and, with the exception of occasional confusing skips forward, a standard birth-to-death account of Bodichon's rich and varied life.